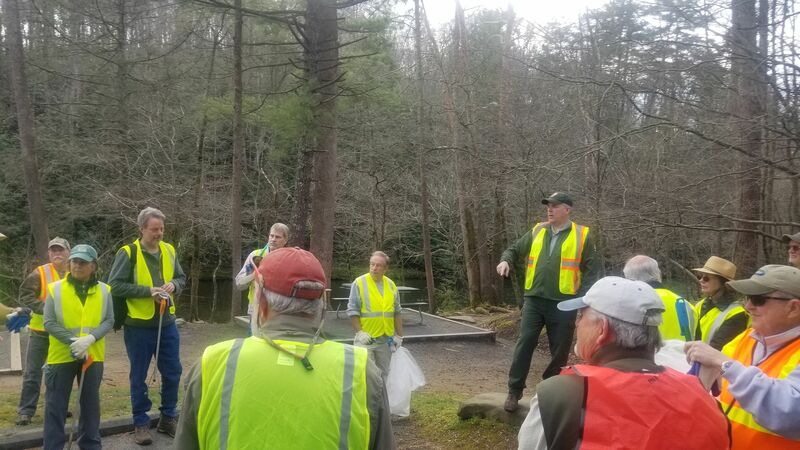 This marks the return of the Annual Little River Clean-up in partnership with the National Park and the Little River Trout Unlimited chapter. 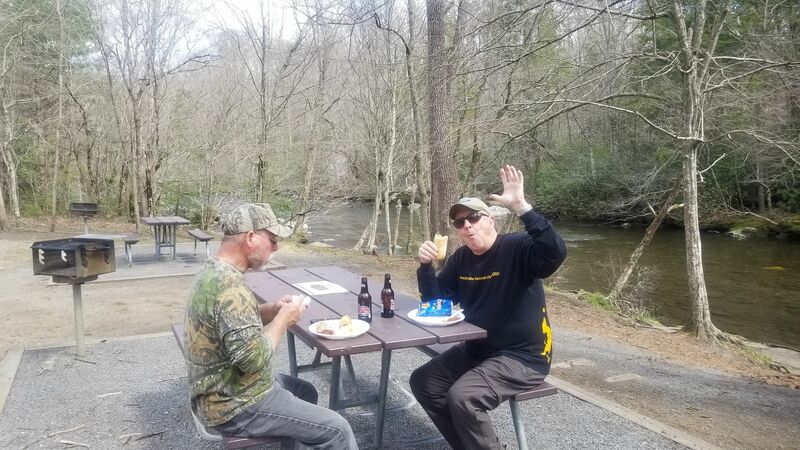 The morning starts at 9:00 am at the Metcalf Bottoms picnic area on Saturday April 6th, 2019. 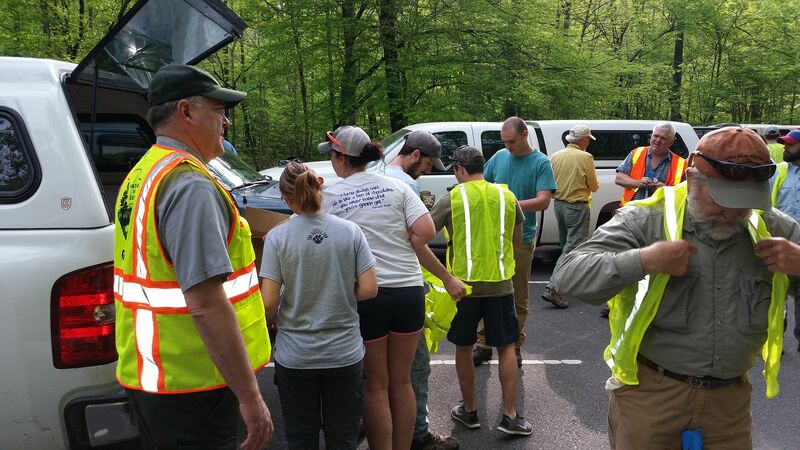 Volunteers divide into teams and are assigned a section of stream along Little River Road. Work usually covers from the Park boundary in Townsend and continues towards Elkmont Campground. 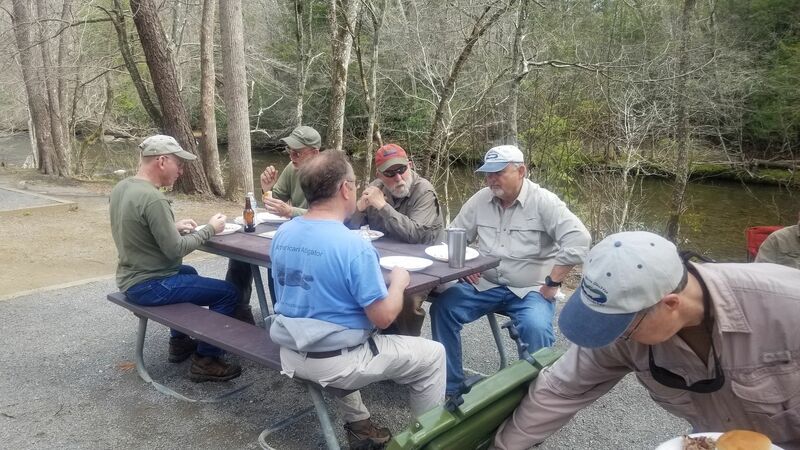 Lunch is provided by the Little River TU chapter around noon and many people fish after lunch in the Park. Please note you do not have to be a TU member to help, all welcome! Things to bring: Appropriate clothing for Park (rain jacket), shoes, work gloves. A safety vest will be provided if you need one. Last edited by bigsur; 04-04-2019 at 09:18 AM. 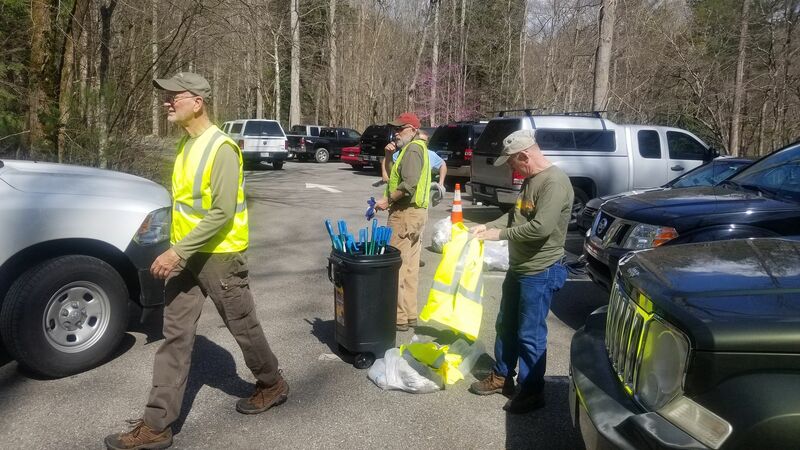 Thanks to everyone who volunteered and helped with the Little River Clean-Up on Saturday April 6th at Metcalf Bottoms sponsored by the Little River TU chapter in partnership with the Great Smoky Mountains National Park service. It was a picture perfect day from beginning to end with blue skies and temperatures in the mid-70’s. 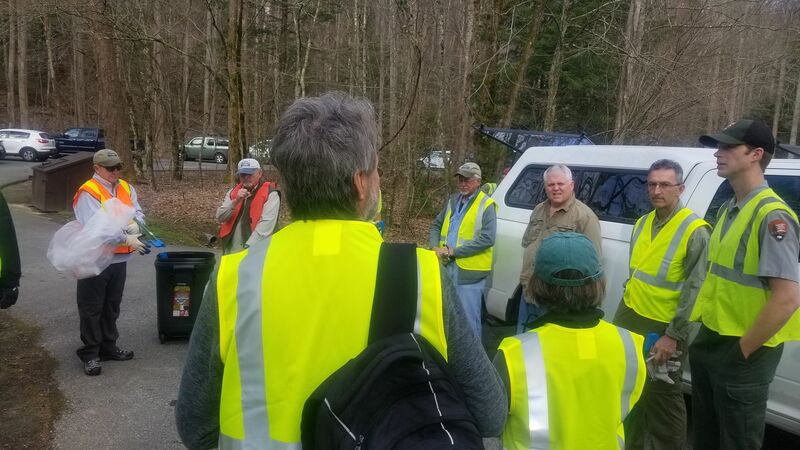 We had a great turnout of members from different local TU chapters and volunteers who wanted to be a part of an ongoing effort to keep the Park the natural beauty we all love. It is so hard to understand how anyone can still litter in this day and age with all the awareness of how trash affects the Park not only to the eye but to the environment. Everyone was handed a safety vest, trash grabber & bags and driven by Park vehicles to the assigned areas and by 9AM the work had begun. 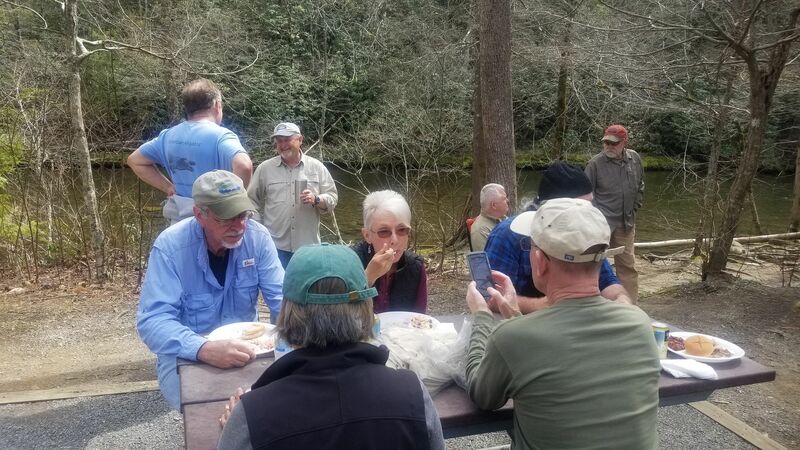 Of course the highlight of the day was the lunch provided by the Little River TU chapter served stream side at Metcalf Bottoms. 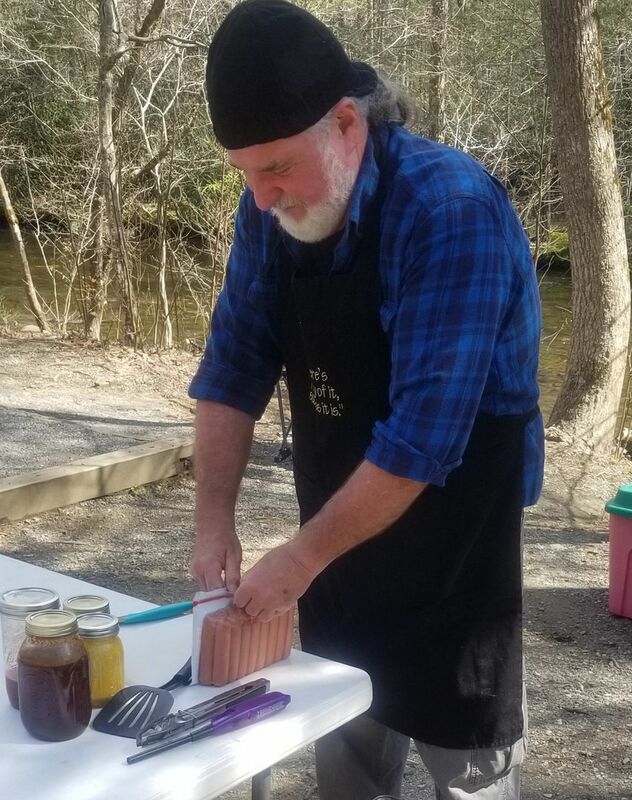 Chef extraordinaire and LRO Forum alumni Stanta Claus had slow cooked pulled pork with homemade BBQ sauces, hamburgers, hot dogs and all the fixins to feed the hard working crew at the end of the job. 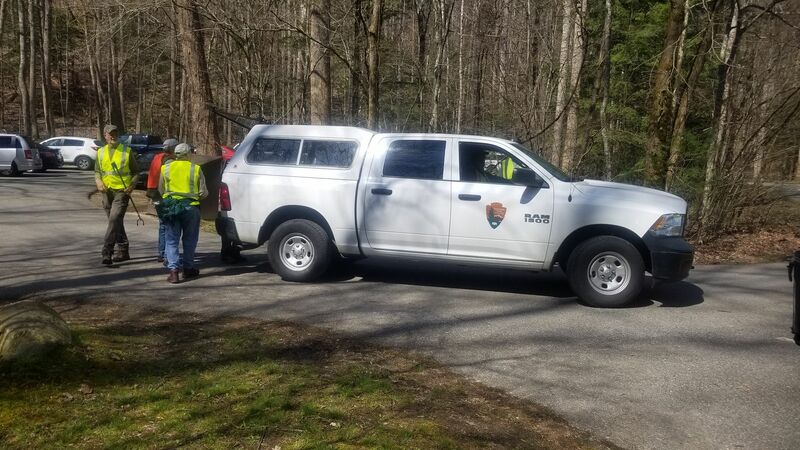 Thanks also to Matt Kulp, and Caleb Abramson of the Great Smoky Mountains Park Fisheries Division for providing safety instruction and transportation for the volunteers. They work year round in partnership with our TU chapters to guide and educate us on the projects and efforts needed in the Park. 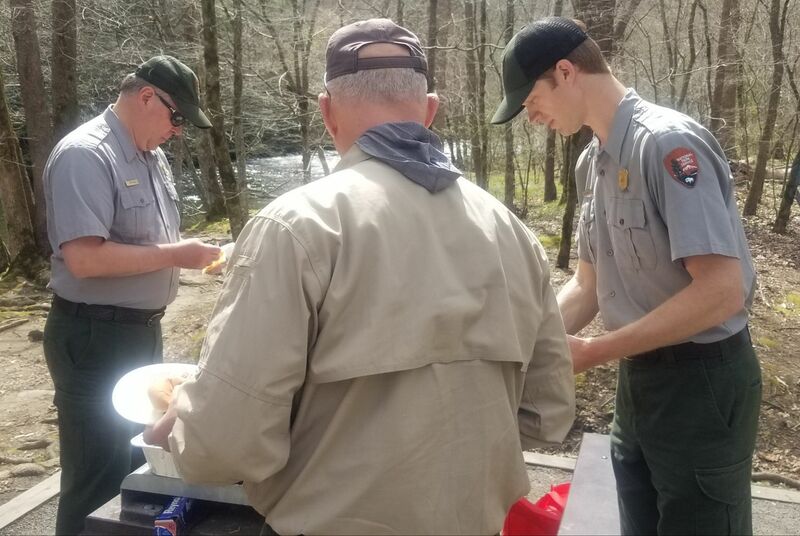 Again thanks to all who attended and please join us next time for this volunteer work in the Great Smoky Mountains National Park! 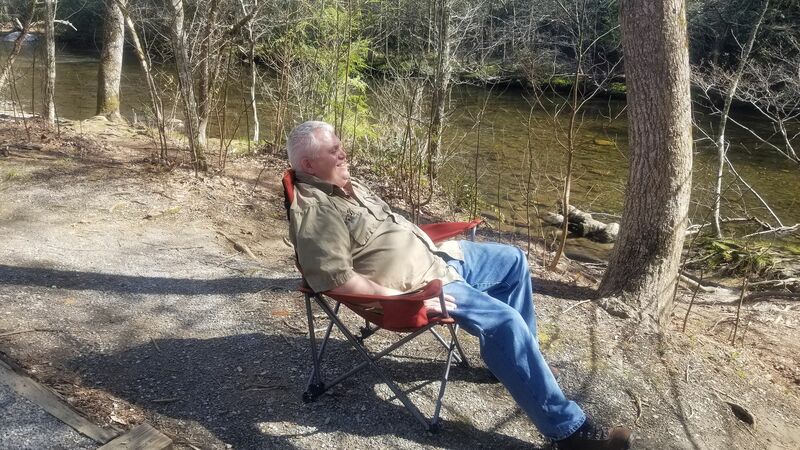 "STANTA CLAUS WORKIN' THE GRILL"
"ROOT BEER'S, HOT DOGS AND A MOUNTAIN STREAM"
"JOE HATTON'S AFTERNOON SIESTA STREAMSIDE"